How much is Cody Simpson Worth? 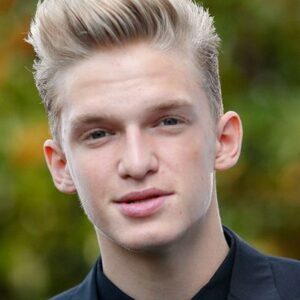 Cody Simpson Net Worth: Cody Simpson is an Australian pop singer who has a net worth of $4.5 million dollars. Cody Simpson was signed to Atlantic Records in 2009 at the age of 12, after becoming an internet sensation with his covers of songs by Jason Mraz and Justin Timberlake, among others. Cody Simpson was born on January 11, 1997 in Gold Coast, Queensland, Australia where he was a competitive swimmer. Simpson won two gold medals at the Queensland Swimming Championships. Simpson began to record songs in his bedroom during the summer of 2009 on YouTube, performing "I'm Yours" by Jason Mraz, "Cry Me a River" and "Señorita" by Justin Timberlake, "I Want You Back" by The Jackson 5, and his own songs, "One" and "Perfect". 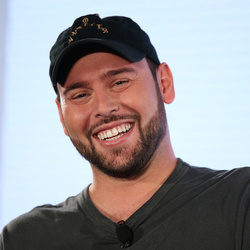 He was subsequently discovered on YouTube by Shawn Campbell, a Grammy-nominated record producer who has produced records for Jay-Z and other artists. In 2010, when Simpson was 13 years old he and his family relocated to Los Angeles so that he could work with Campbell. He released his debut single, "iYiYi" featuring rapper Flo Rida, on May 15, 2010. In June of that year, he began recording songs with Campbell and Atlantic Records. The music video for Simpson's second single, "Summertime", was released on September 10, 2010. On 4 March 2014, Simpson was announced as one of the celebrities to participate on the 18th season of "Dancing with the Stars". He was partnered with professional dancer Witney Carson. He was eliminated on Week 5 of the competition and finished in 9th place. He has released the albums Paradise in 2012, Surfers Paradise in 2013, and Free in 2015.